Pharmaceutical companies and related fine chemical industries develop, manufacture and supply worldwide specialty chemicals, drug intermediates, and final active pharma ingredients. 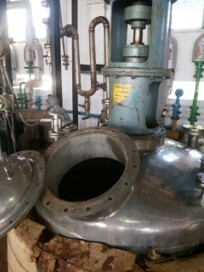 The production of such chemicals calls upon the use of chemical engineering installations, chemical reactor vessels (photo), etc, necessitating the use of sealing elements and gaskets. - Reaction Medium: a variety of Solvents used Basic or Advanced Starting Chemicals (ex. ketones, esters, alcohols); Acids (ex. Sulphuric Acid, Acetic Acid); Bases (ex. Caustic Soda, Amines). - Inert Atmospheric Gases (ex. nitrogen, argon); Generated Gases. 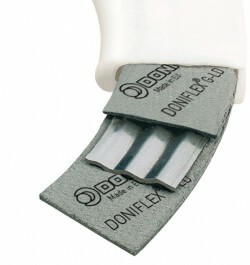 Some current designs in-use of Compressed Asbestos Fiber (CAF) (banned in the EU) or Compressed Non-Asbestos Fiber (CNAF) based gaskets have a simple PTFE protective jacket which is in contact with the reactor flanges and its enclosed chemicals. However, these gaskets are prone to chemical attack and degradation within 5-8 operation days, necessitating thus their replacement. 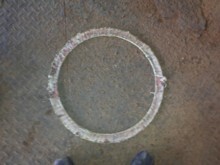 Such poor gasket performance leads to frequent maintenance and extra shut-down production time resulting in increased overall production costs and lower production outcome. 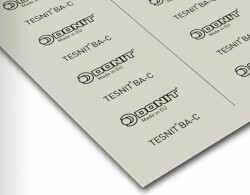 TESNIT BA-C is Evaluated, Tested & Approved! It is a premium quality Gasket Sheet Material based on sturdy aramid fibers with the highly chemical resistant CSM elastomeric binder ingredient. TESNIT BA-C possesses excellent resistance against strong acids and alkalis rendering it especially suited for the fine chemical and pharma industries. In addition, TESNIT BA-C complies with the most stringent Fugitive Emission Regulations according to German TA-Luft (VDI2440). >>> You can download TESNIT BA-C Technical Data Sheet here. 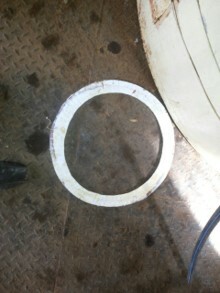 Increased gasket life-service performance to 45 days. The Indian pharmaceutical company decided to adopt TESNIT BA-C as its favoured Gasket Sheet Material for all its chemical reactors. >>> Other DONIT Products which can also be beneficial for your applications: a higher-end product for chemical reactors TF34 gasket.